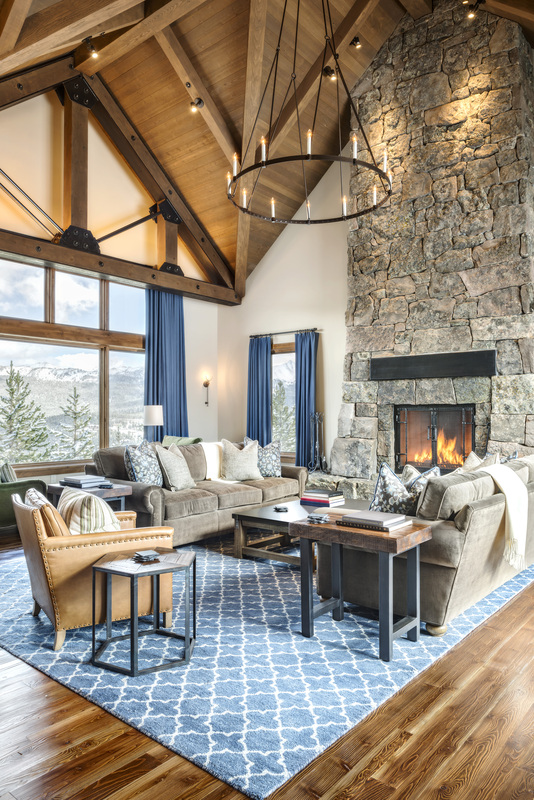 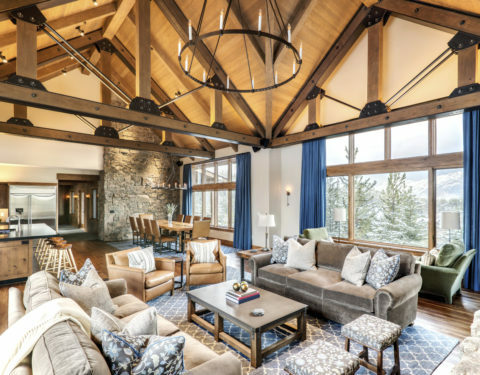 Nestled deep in the heart of ski country, this Big Sky timber frame mountain home is nothing short of a castle in the clouds. 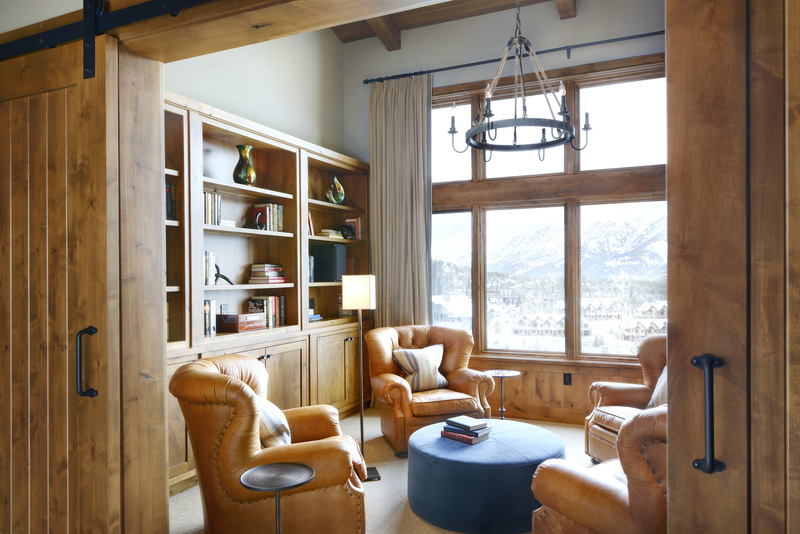 Elements of earth and air flow from the surrounding landscape and combine inside through a mix of rich, warm tones and cool contrasts. 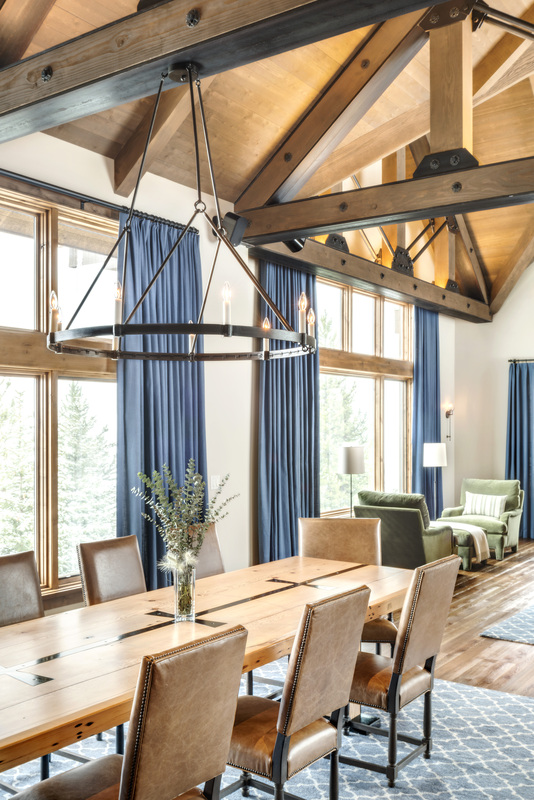 The grand hall is beyond impressive, not only from the sheer size of the combined living and dining spaces, but from the mastery of detail in the home’s finishes. 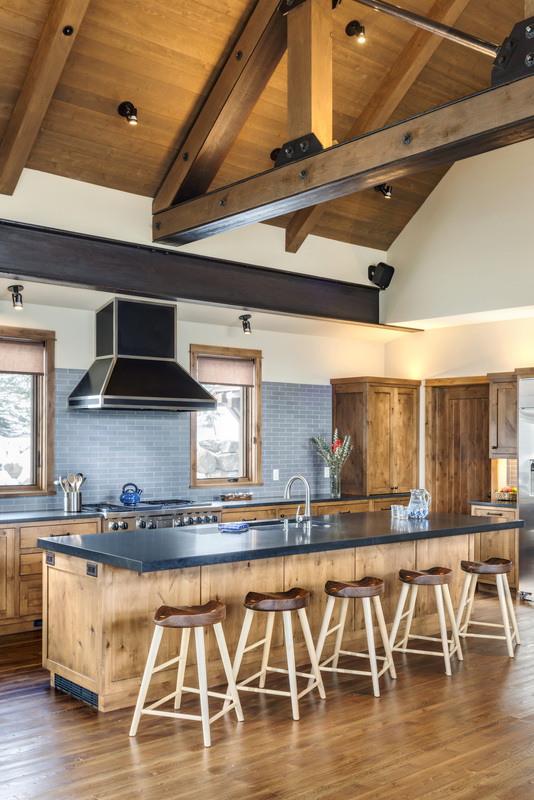 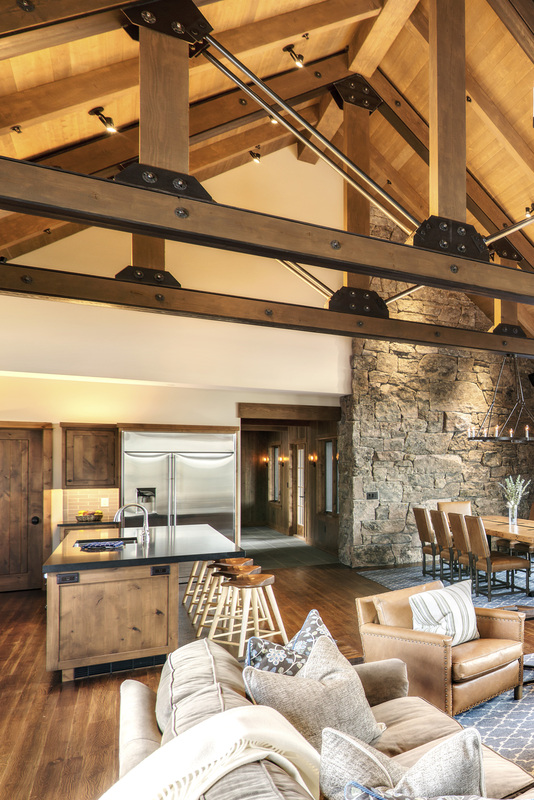 One cannot help being drawn to the immaculate timber-framed trusses fit with antiqued hammered copper/oil rubbed bronze beams and hardware, a showpiece of both architecture and craftsmanship. 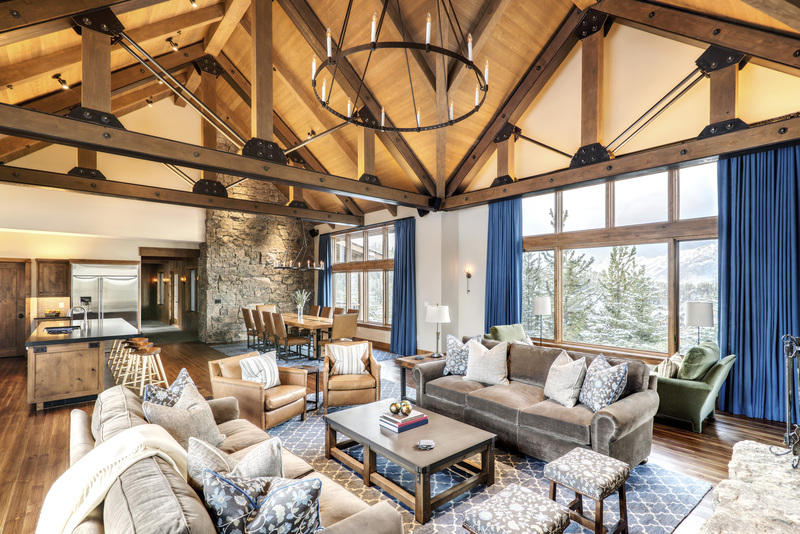 The paneled ceiling works with the sleek wood floors to create a linear feel, and features such as the stone-stacked fireplace and sizable granite-topped island contribute to clear definition of spaces. 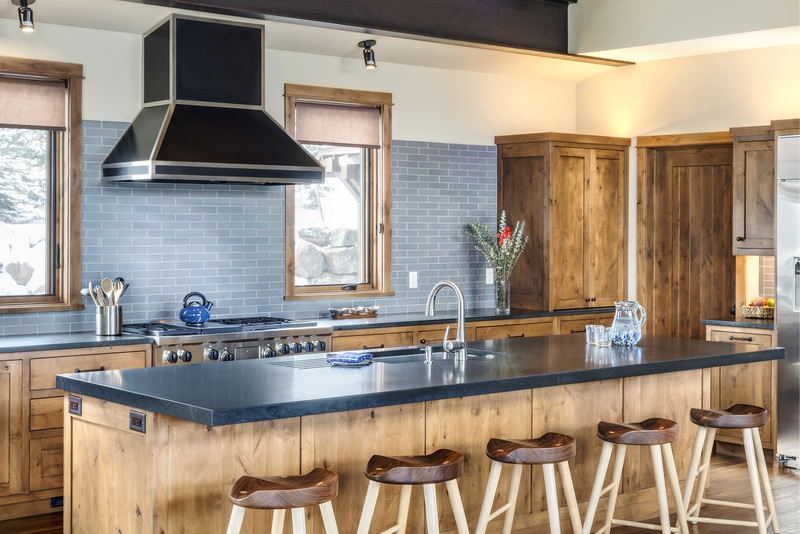 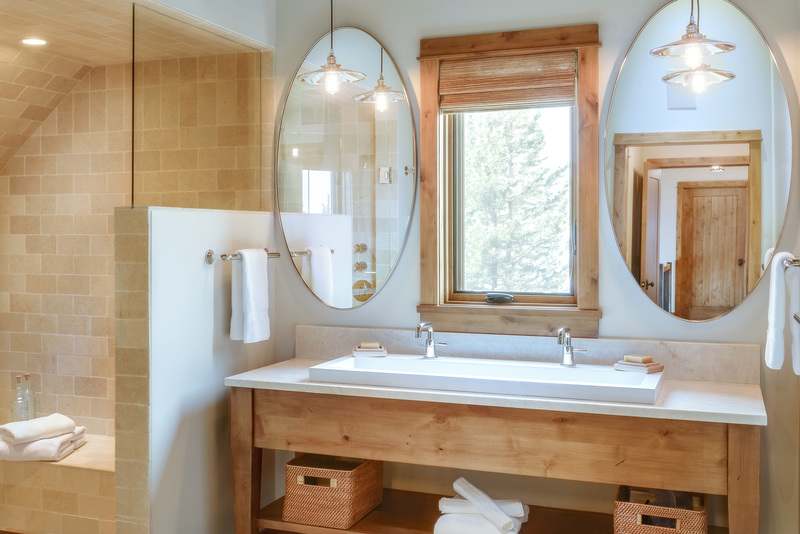 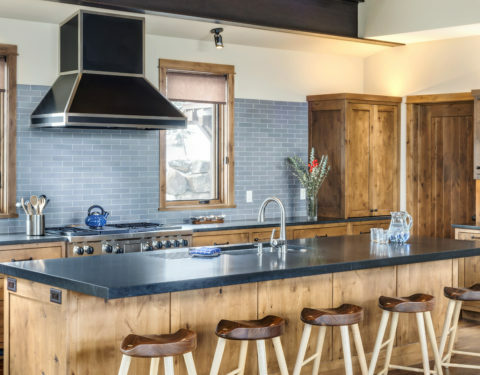 While the deep glaze of the knotty alder cabinets and Shark matte subway tile are certainly eye-catching, the stretch of preparation zones is sure to be a chef’s delight. 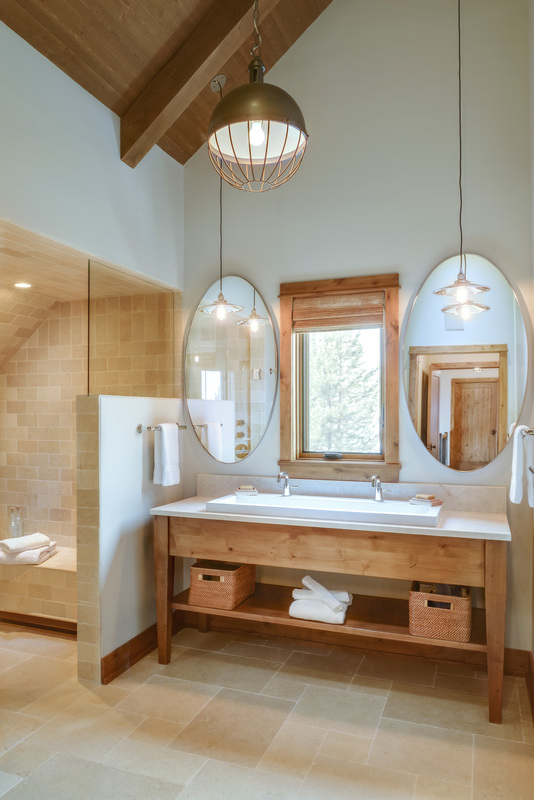 The lower level is a continuation of clean lines and cozy spaces. 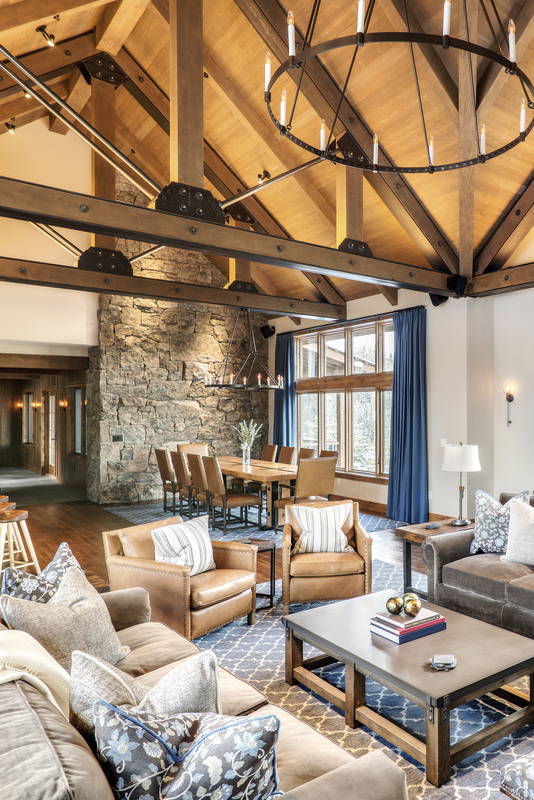 Ample windows, light, neutral tones, and a raised ceiling highlighted with exposed wood beams breathes life into this family-sized entertainment niche. 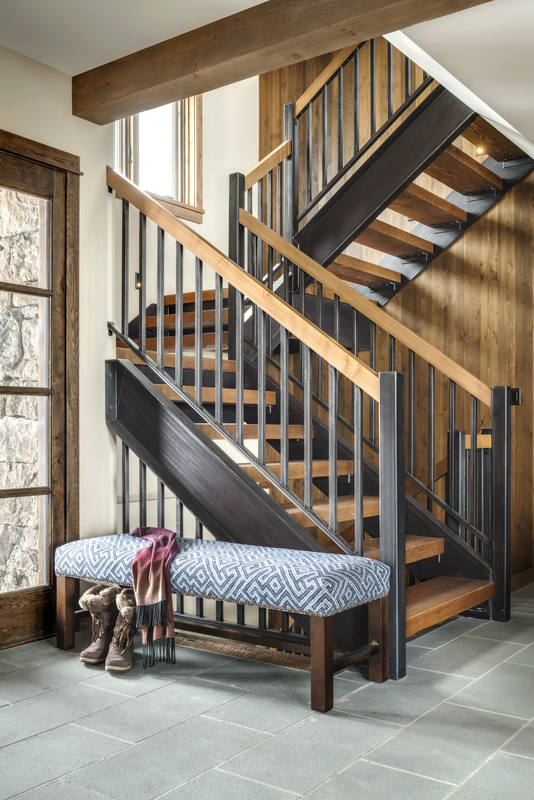 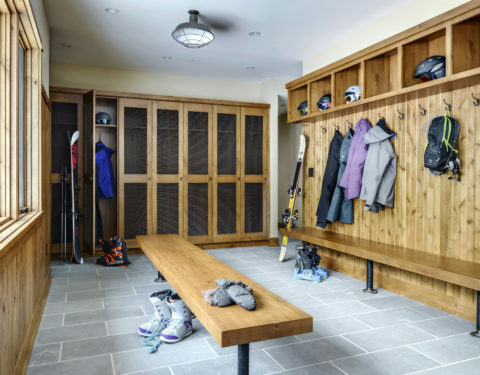 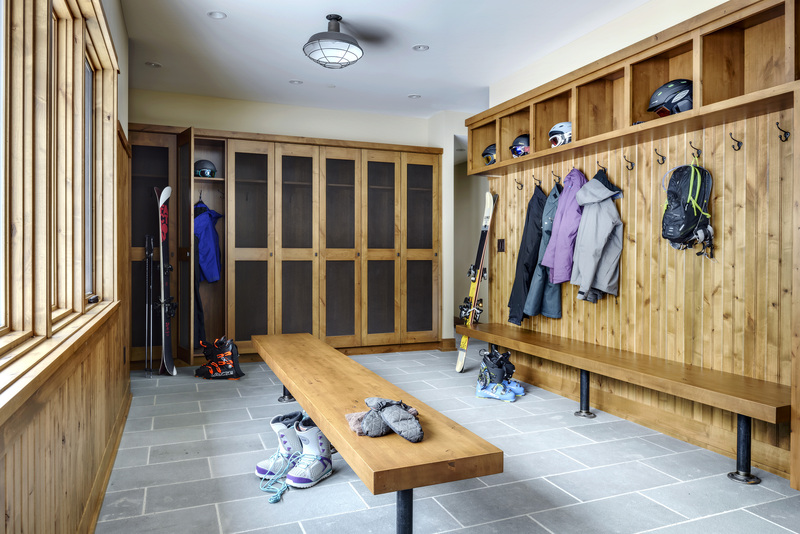 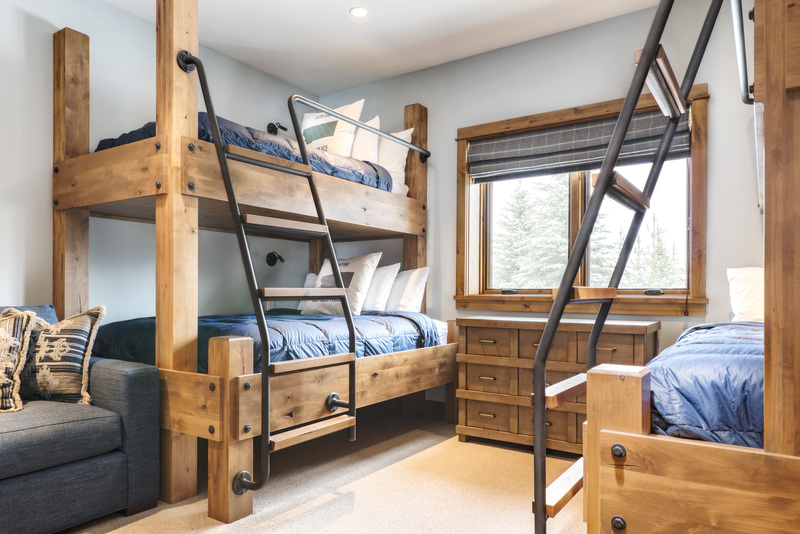 Included on this level are additional sleeping alcoves with bunk beds custom-built and stained to match the trim and a ski storage area that is nothing short of a professional locker room. 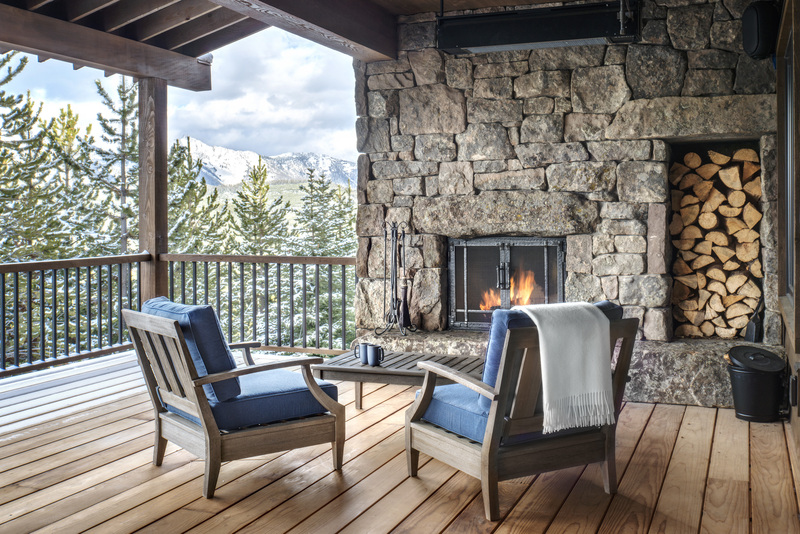 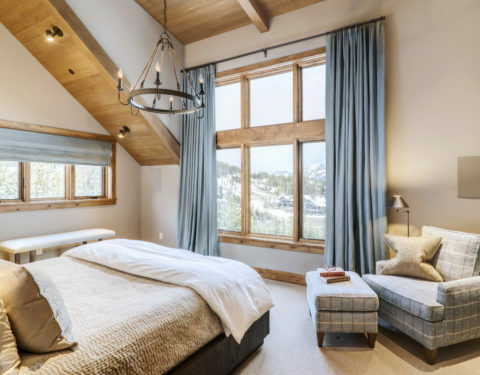 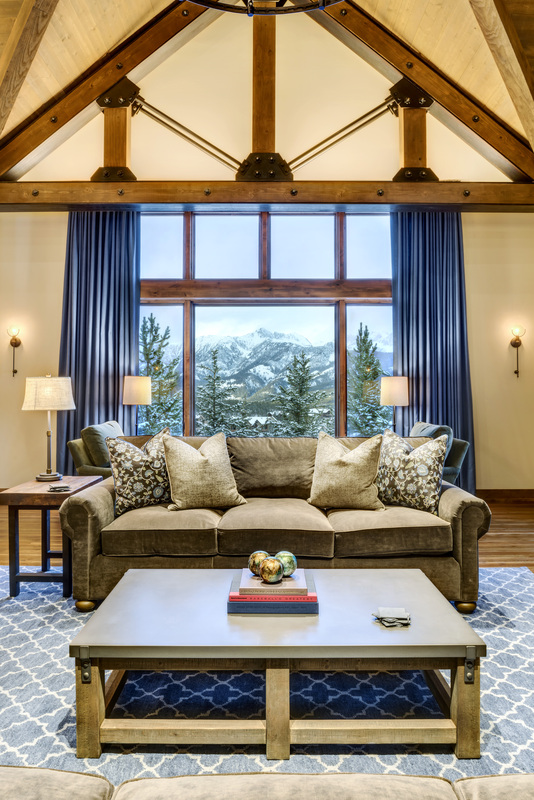 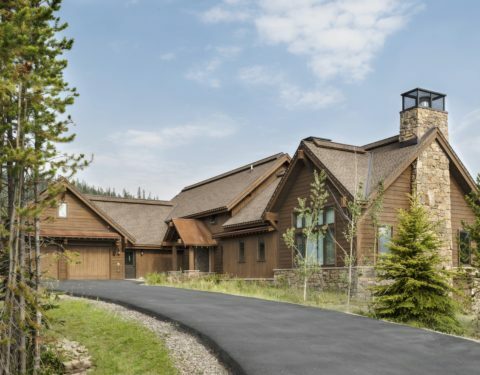 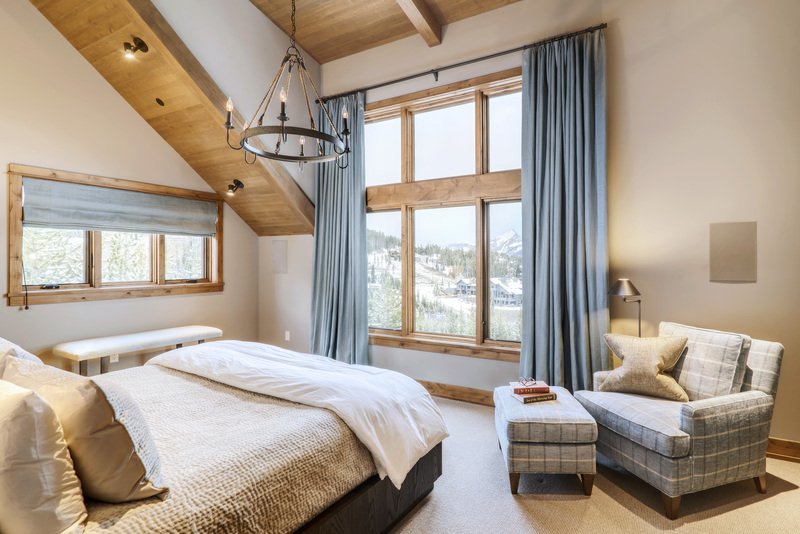 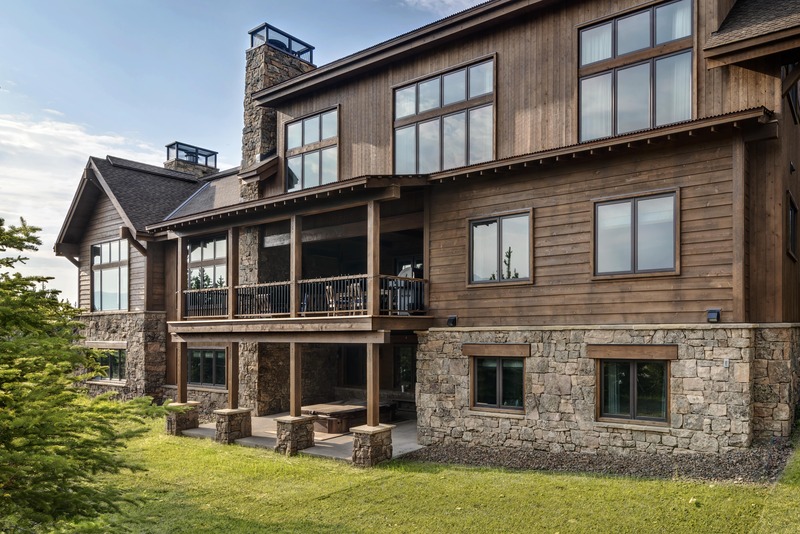 Surrounded by lifts and runs and comfort and quality, the owners of this Diamond Hitch custom home know that when it comes to outdoor activities, indoor festivities, and top-notch R&R the sky’s the limit.